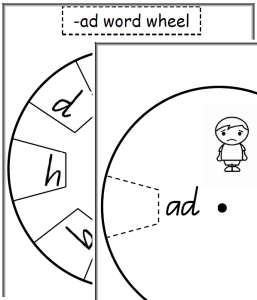 CVC word wheels give your child practice manipulating the initial sound of a given CVC word family. 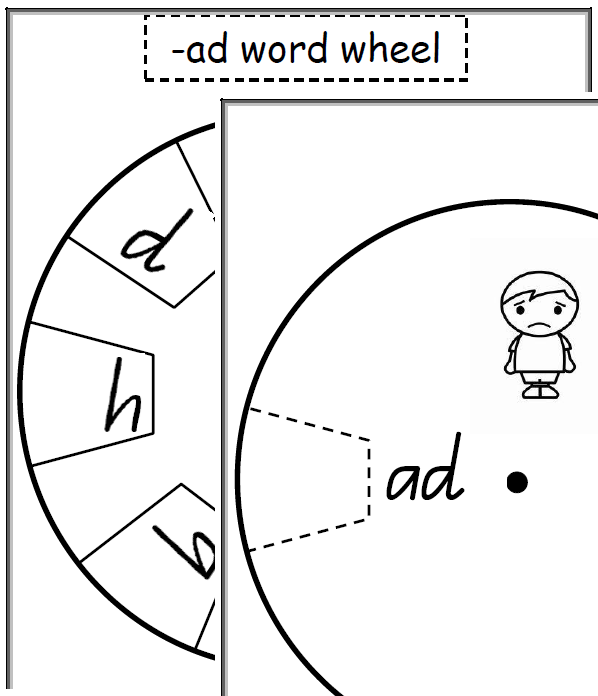 Spinning the wheel will combine a new beginning letter (the onset) to the CVC word family (the rime). Have your child read the new word that has been created. Suitable for kindergarten, preschool, prep, grades 1,2 and 3. 1) Cut out both wheels and the ‘window’. 2) Join them through their centre points using a drawing pin. For best results, laminate both sheets or use cardboard.